You will want to get connected when you are are George Town. There are a lot of companies offering telephone services for your mobile when you are in the island, so you need not worry about not being able to call home to let your family and friends know that you are safe. So, what are the options that you can have? There are two ways. You may get a post paid card if you are going to stay on for a long period of time, but if you are just staying for a short period, such as two weeks or a month, you may get a prepaid card instead. You still need to register for the prepaid card, using your passport as identification. There are many different telephone companies available with different packages to choose from. Maxis is one of the telco companies that keeps fluctuating between love and hate. Some people may have used it for more than ten years, and stays loyal to it, while others may have used it for just a few months and start complaining about it. However, this may be very subjective, depending on how the customer perceives it. There are fine prints, and at any point at all, the customer should listen carefully to all the terms and conditions to ensure that there will be no surprises when you use it. It can happen not only to Maxis service, but also to any other services. Some people complain about the reception. However, Maxis is has indeed the best reception at highways. There are many places where other telcos may have lost total reception, but Maxis still has it, yet many people still do complain about it. Maybe they have seen something better, or maybe their expectations were a bit too high... or maybe they were interpreting something greater than reality based on the advertisements with promises that may not be fulfilled each time. 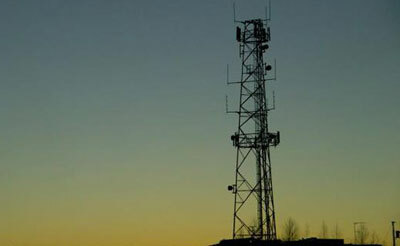 It is a telco company anyway, and subject to technical glitches and many other problems that we may not know at the backend of the communications technology. This is the one that the Yellow Man promoted. 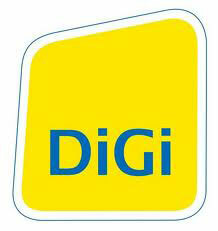 While Maxis holds its identity with a strong red colour, Digi gives it a stark contrast by having it a bright yellow. The advertisements are a lot of fun too, with a Yellow Man icon that is easily recognised as a Digi man. How good is it anyway? It promises the network coverage to be with the user at anytime at all. This is another one of those advertising promises that may not be fulfilled, because some buildings just do not allow for good reception. When such things happen, the customers start complaining again. Some will start examining whether it is the phone, and some will say that it depends on the areas. At last, apparently the Yellow Man is not always there for everyone. This is probably the least popular among the three older services, but it does have its own customer base which may be slowly dwindling in many ways. Advertisements are all over the streets, as streamers at lamp posts or as billboards. However, there is not much hype or talk about this telco service, and customers just stay there or leave when other telcos have better offer. So much for loyalty to this telco with a blue colour for its logo. 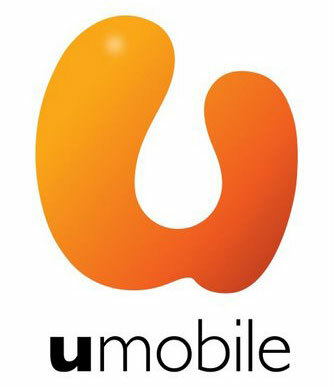 U-Mobile is a relatively new telco service that seemed to get quite a favorable review from its users. It is mostly about low call charges, unlike others that may have mobile phone bundle packages. Some people claim that this service is available even in those buildings where normally there will be bad reception. How true this is has yet to be shown with more solid evidences. It may be just coincidental, or perhaps it may be just because there were lesser people taking up the service, hence lesser traffic to its lines. What are the criteria that you have when you wish to get a mobile communication when you are in George Town? Will you pay more attention to the charges of overseas calls, or will it be data plans for your other gadgets for mobile Internet? One company may offer you a very competitive overseas calls price, while another may offer you a very good unlimited data transfer package for your mobile Internet connections. Each company actually has its own advantages, and a lot also depend very much on the location of where you are using it. For example, one person may be using the Maxis broadband with the Internet key without any problems, while another may experience very slow data download due to location. The construction of the building will also affect the quality of the line. Just choose the one with a plan that you are most comfortable with and you will not go wrong. Make sure to check our Instagram, we were recently able to buy Instagram video views, so check them out. This entry was posted in Tourism & Leisure and tagged Celcom, Digi, Major Telcos in Penang, Maxis, U-Mobile by admin. Bookmark the permalink.